Kimberly Stamatelos is a lawyer and mediator operating in West Des Moines, Iowa. Her approach is to represent clients in a compassionate way that maintains the dignity of her clients and those with whom they are in conflict. She works with parties during difficult legal challenges such as divorce, legal separation, negotiation, discussing premarital agreements, custody disagreements, parenting conflicts, issues with aging parents and siblings, and other aspects of family disputes. Her approach is to act firmly and wisely without embarrassing and embittering others. Kimberly can represent you as a lawyer in a legal matter, or serve as your mediator if you want to keep matters out of court. Kim is a native Iowan, but has practiced in the field of conflict resolution throughout the country. 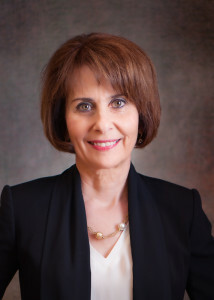 She developed a mediation firm in five states in the Midwest during the late 1980’s, and also worked as Vice President of a national mediation firm based in Irvine, California. She won an award for her contribution to alternative dispute resolution in the state of Arizona, living there for ten years before returning home to Iowa. Kim has been recognized as a “pioneer” bringing mediation to the state of Iowa, after returning from living in Dallas, Texas where she discovered the concept of mediation in her legal practice there. Her practice as a mediator is still national in scope. Legal Representation: Kim is one of the most experienced divorce lawyers in the Des Moines, Iowa area. She is currently licensed to practice in the state of Iowa. She limits her practice as an attorney to clients who want to stay out of court and promotes COLLABORATIVE DIVORCE, negotiation and mediation. See the Collaborative Divorce page for more detail. After years of trial work and seeing the way that process destroys families, Kim’s passion is to help parties resolve things outside of court, in a dignified manner. To discuss these peaceful options contact Kim for a $50 initial consultation. Mediation: Kim has been a trained mediator for over 30 years. She is a divorce mediation attorney. She has experience mediating matters large and small. Examples of cases she has mediated include: entire divorce cases involving property and custody issues, alimony, child support, sale of the marital home, disagreements between parents about child rearing issues, disputes on interpretation of the legal Decree, visitation problems, lack of communication between parents, disputes involving partners, co-habitating, businesses, families dealing with elderly parents, and all types of civil matters including automotive manufacturers, insurance companies, and persons injured in automobiles and on the job. Because she is a lawyer mediator, Kim can give you divorce mediation advice. Call for a consult so she can give you information on the divorce mediation process and describe divorce mediation services that are available. Conscious Contracting: Having devoted her professional life to conflict resolution since becoming a practicing attorney in 1982, Kim is again pioneering a new method of conflict resolution in Iowa. Through her collaboration with Drake Law Student Joslyn Sailer, she is promoting conscious contracting. In this model, parties in relationship (business or personal) proactively participate in a facilitated dialogue led by Kim. The discussion includes goals and accountability measures in the living out of their anticipated contract. This can also be done with parities interested in a prenuptial agreement. Unlike traditional lawyer contracting, the conscious contracting process involves a thorough analysis of values, expectations, measurable goals for the future, and detailed steps to take if parts of the contract begin to erode. By engaging in this model contracting parties are not just handed a form contract whipped up by their attorney. The conscious contracting process is a thoughtful, calm, and thorough review of all the different facets inherent in successful relationships. If you are contemplating marriage, divorce, going into business with someone, blending a stepfamily, or redefining an existing relationship, conscious contracting led by a compassionate attorney can be a healthy way to ward off conflict. Are you involved in a dispute or legal matter? Schedule a 40 minute consultation (cost is $50) in our office or by phone, Skype or FaceTime, to tell us your story and determine if a lawyer or mediator can help by contacting us. Please Fill Out our Client Questionnaire prior to your visit. Kimberly Stamatelos discusses the use of mediation to resolve conflicts.– Listen in to a radio show in Phoenix, Arizona in 2013 where Kim was the guest.